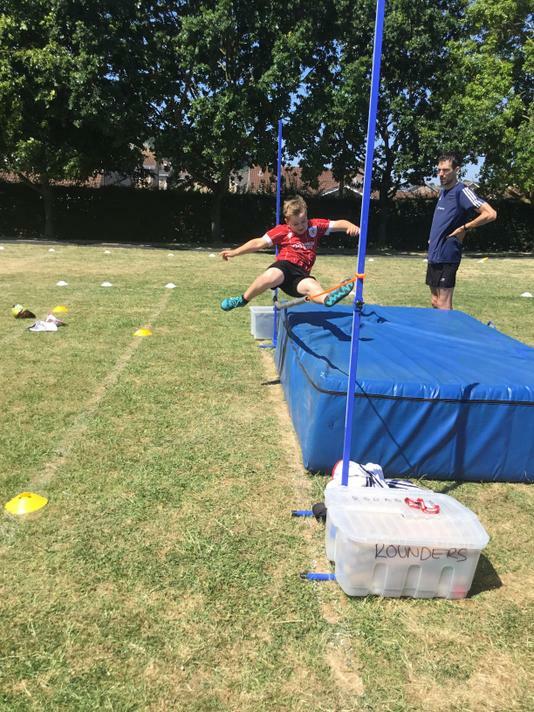 This week, the children took part in another amazing sport week, giving the opportunity to take part in a range of different sporting activities. This year it was World Cup themed so the children were able to learn about a country taking part and also learn about the tournament, getting excited about the results. 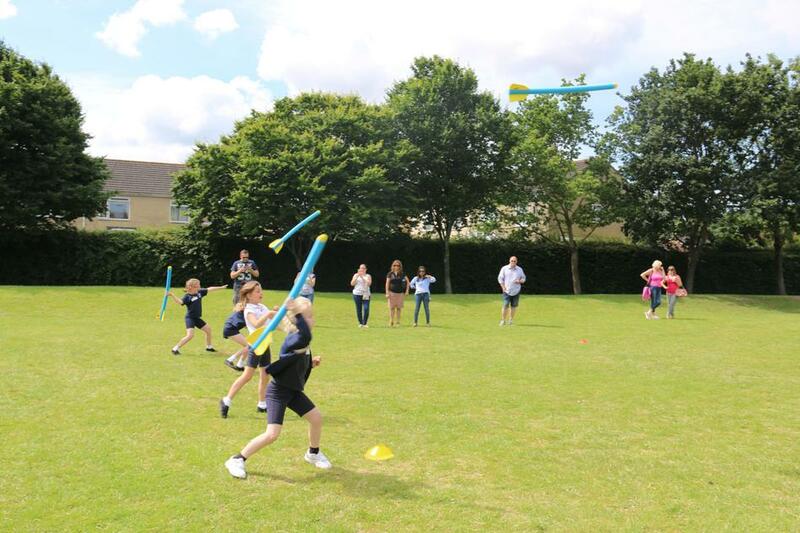 A group of Year 5 children walked to Priory School to take part in a rounders tournament. They played very well and really enjoyed themselves, coming 4th in the competition. Unfortunately, the Quadkids competition was postponed but hopefully it will be rearranged. For the last mystery Monday of the year, the theme was sport. Each class was given a statue of a figure doing a different sport to base their activities on. 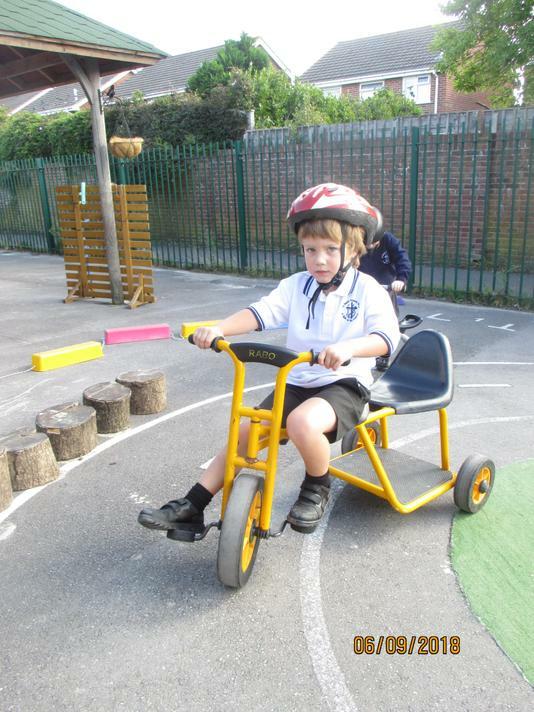 It was lovely to see all the children taking part in different sporting activities and enjoying the warm weather. Mr Townsend cycled 950 miles from Lands End to John O'Groats to raise money of the Life Skills Centre. To raise money for him, we, as a school, walked 950 miles around the friendship path. 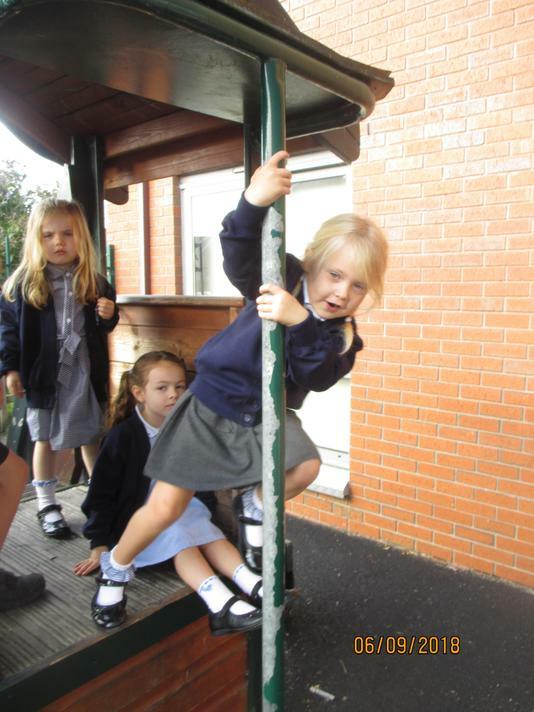 Even though it was raining, the children still had a great time and raised lots of money. A group of children from Year 5 travelled to St Katherine's School to take part in a laser shooting and fencing competition. It was a great opportunity to try new sports and promote new competition. They really enjoyed to new experience and Ava even came second and received a silver medal. Children from the netball and football teams had their photos taken as team with the professional photographer. A mixed team of girls and boys from Years 4,5 and 6 hosted Brent Knoll Primary school for a 7 a-side netball match. For many of the players this was their first match so they were a little bit nervous but excited at the same time. It was a close match and they played brilliantly to finish with a draw. 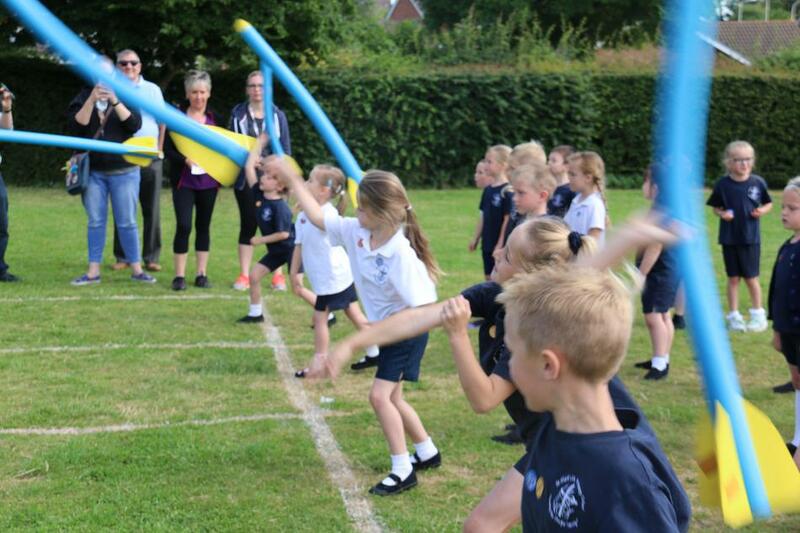 A group of children from Years 3 and 4 travelled to St Katherine's School to take part in a tri-golf competition. 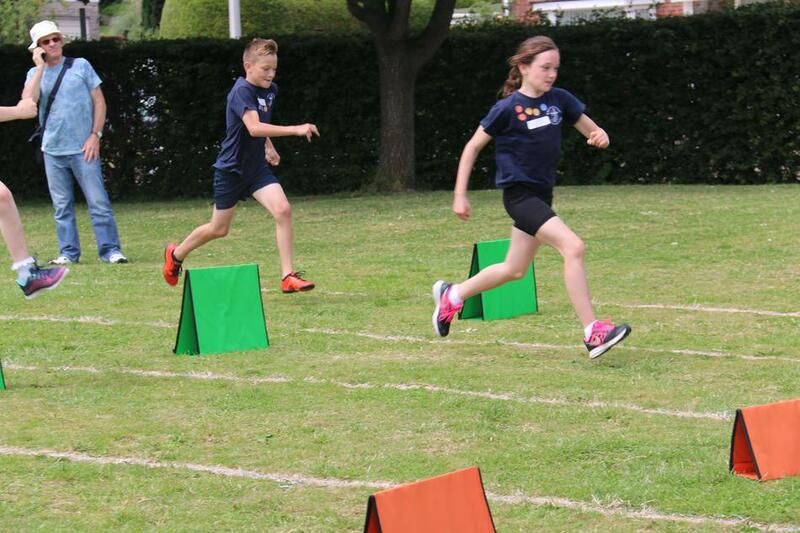 The children had a great time and really enjoyed competing for their school. 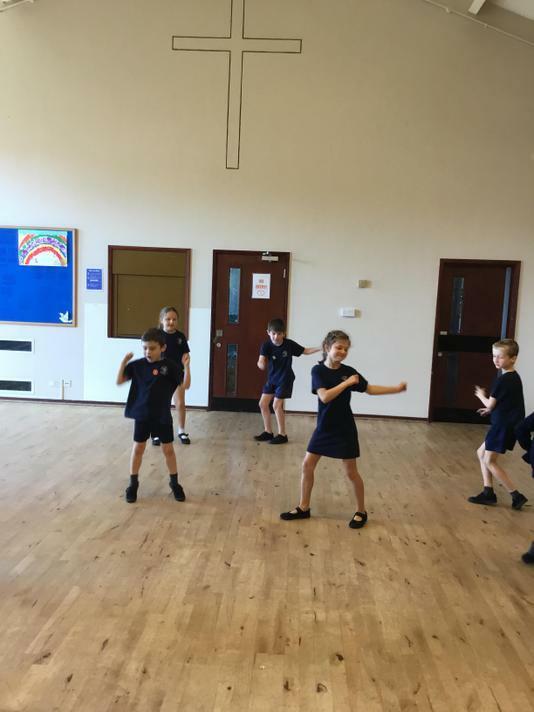 To raise money for Sport Relief the children came to school dressed in sports clothes and took part in a Zumbathon led by Miss Owen. 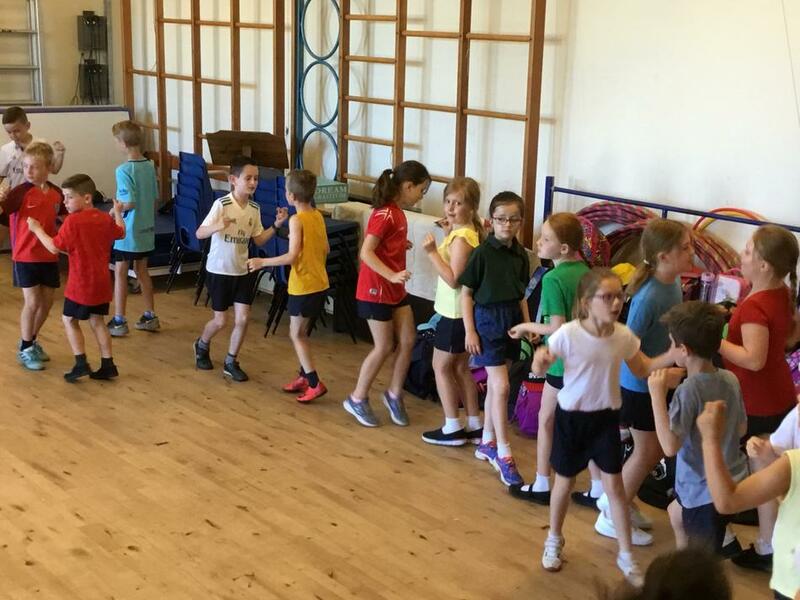 The children really enjoyed learning the dance routines and taking part in an activities that tested their stamina. 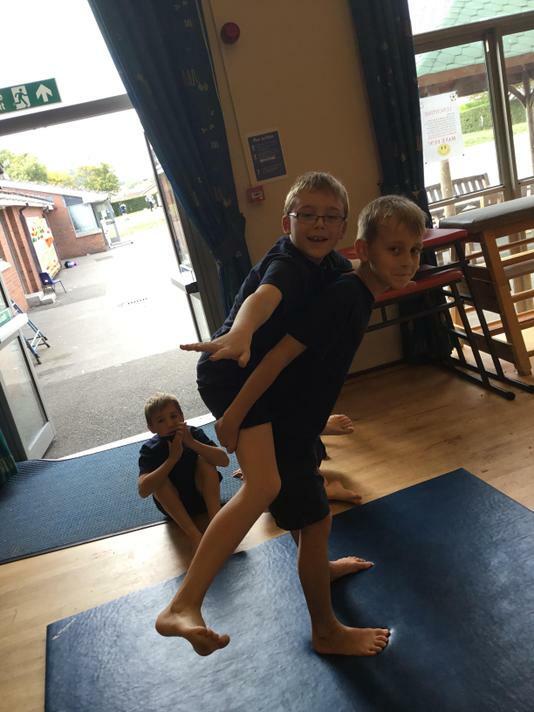 A group of boys from Year 5 have been attending dance sessions before school, preparing two dances to perform at Weston Playhouse for the North Somerset Dance Festival. One dance was pirate themed and one was a street dance, allowing the boys to show off their own moves and skills. The boys performed at the theatre in front of a full audience that included many friends and family. They danced fabulously and thoroughly enjoyed the experience. 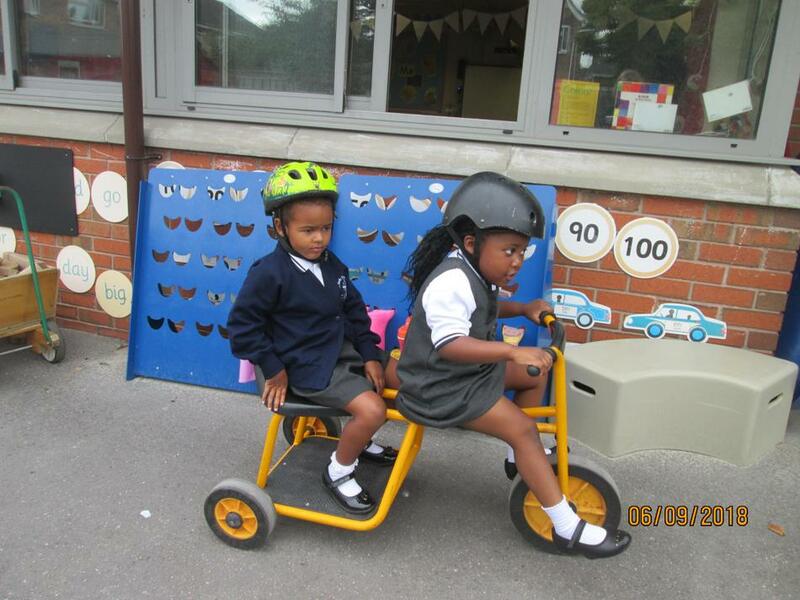 During Science week, the children were all encouraged to walk, cycle or scoot to and from school, and use the playground and path at the end of the day. Children collected tokens for taking part and as Miss Owen's Class collected the most, they won a class prize. 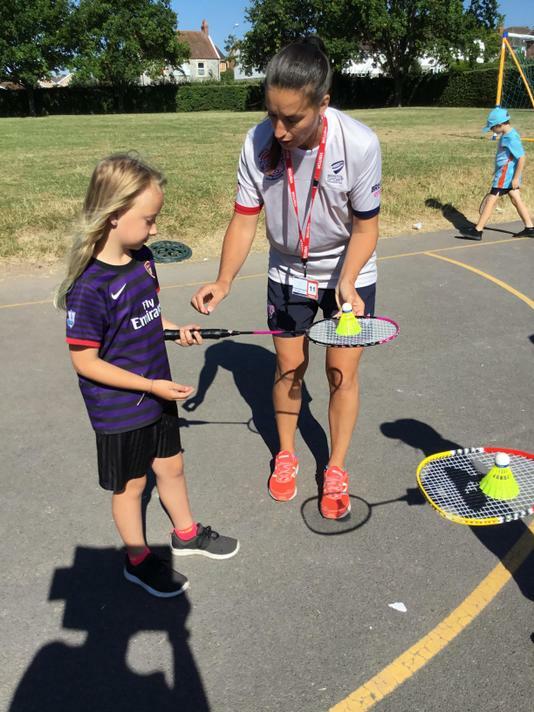 Throughout the week, all the children took part in different sport and science related activities that allowed them to train like an astronaut. Through this, we all collected points that were uploaded on to the Mission X website to help Astro Charlie reach the moon. The children really enjoyed the activities and loved feeling like astronauts. A second team of mixed boys and girls from Years 5 and 6 travelled to Churchfield Church School after school to take part in a 7 a-side netball match. They were all very excited as for some of them it was their first match. They played fantastically well and won quite convincingly 12-2. Girls from Years 5 and 6 travelled to Bristol Grammar School to compete in a netball tournament. The girls train hard every week at netball club so felt ready to take on the challenge. They played brilliantly and won 3 games out of the 4 that they played but unfortunately just missed out on the finals. Unfortunately, the Y5 archery and quicksticks competition has been cancelled due to the weather, however we are hoping it can be rearranged. Our path has finally been installed and finish after bad weather delays. The whole school came out to celebrate the grand opening and walk some laps together as a community. The children are all looking forward to using the path everyday as a class and during all break and lunchtimes. 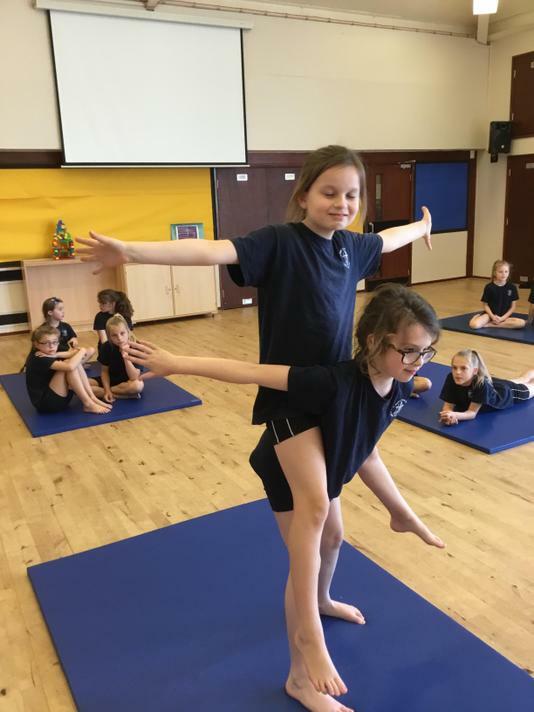 Children from Years 5 and 6 took part in an exciting gymnastics competition at Gemini Gymnastics Club on 24th January. The competed beautiful and clean routines to narrowly miss out on a place in the top three. The children's scores were looked at individually and as part of the team. Well done to both teams for their brilliant achievement! The Boys football team travelled to Bristol Grammar School to take part in the football finals they had previously qualified for. They played very well in all their matches and came back pleased with their performances and achievements. Well done boys! Children from Year 3 were lucky enough to take part in Dodecathon at Hutton Moor Leisure Centre. They participated in 12 different activities and challenges throughout the morning, many of which were new to them. They all really enjoyed the experience and were really excited to share their news when they got back to school. The Year 5 and 6 girls football team travelled to Bristol Grammar School to take part in the girls football finals. They played well against a competitive field and enjoyed the experience. Goalkeeper, Ella, was also lucky enough to be asked to join another football club after being watched at the tournament. 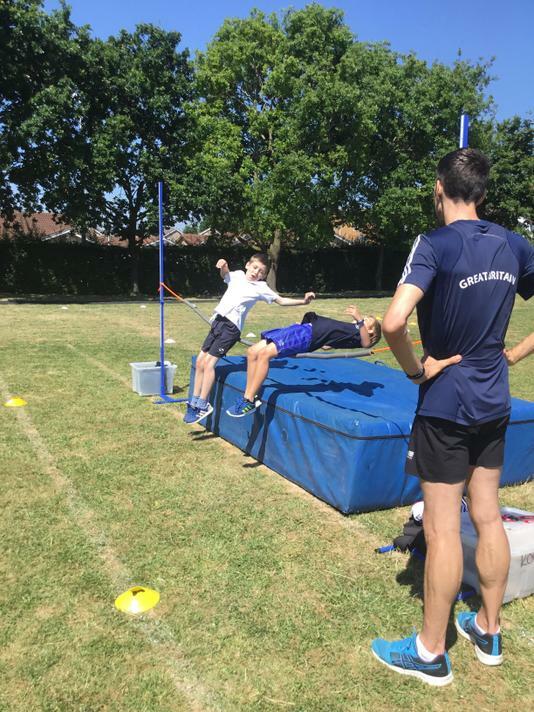 All the children had a fantastic time taking part in the sponsored fitness event with Commonwealth High Jumper, Robert Mitchell. They listened during worship as he talked about his career and why it is important to follow your dreams and then all took it in turns to take part in four timed activities as part of a circuit. We all raised lots of money and had a fantastic time keeping fit! You should all now have received your sponsor forms for Sport for Champion in preparation for the athlete to visit after Christmas. Remember to continue to collect sponsors, as some of the money will go towards the school and you may get a prize. Another fantastic achievement for our Year 5 and 6 football team as they came out on top after a very well played match against Castle Batch. The crowds started to gather as the match went into extra time and eventually penalties, which the boys successfully won. The team will now progress on to the school games tournament. Well done to the Year 5 children who took part in the highly competitive dodgeball competition at NESTC this week. They played very well as newcomers to the sport and proudly represented the school. 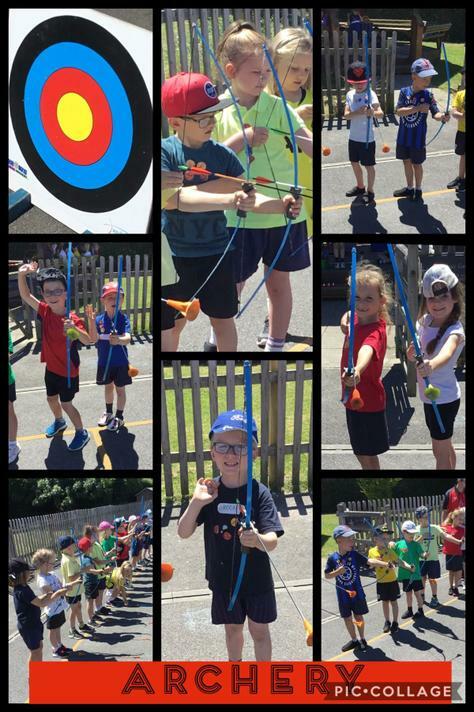 Children from Year 4 took part in an exciting multi-skills festival at Hutton Moor Leisure Centre. They were able to take part in and try out many different sports, some they had never played before. All the children thoroughly enjoyed the day and were excited to share their news with their peers. On 17th November, the newly selected, Year 5 and 6 football team travelled to Uphill School to take part in their first knock out match for the school games tournament. They played very well as a team and successfully won the game to take them forward to the next round. We are excited to see what they will do next! Years 4 and 5 have been lucky enough to receive football coaching from a FA skills coach during Term 2 (31/10/17-19/12/17) as part of their PE lessons. They have learnt new skills, rules and tactics, as well as playing games and developing their team work and communication skills. On Friday 20th October, 4 of the sport council went to NSETC to take part in School Games Organising Committee training. They were very excited to see what their role would involve and came back with loads of brilliant ideas that we could try at St Mark's. They then fed these ideas back to the rest of the council and discuss which would work best. Conker day was a great success again this year. Every child had the opportunity to take part in the exciting competition as round by round the winners progressed until we found our overall champions. 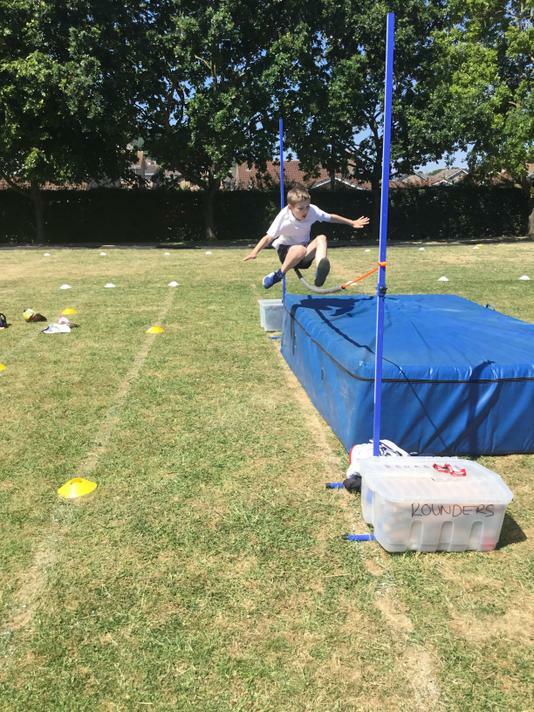 The year 6 children loved leading and officiating the games and the rest of the children had a fantastic time competing and taking part in this annual competition. Well done to the Year 3/4 and Year 5/6 rugby teams that took part in the Weston Super Mare World Cup rugby tournament representing England. They all played very well and were surprised to see so many spectators. They narrowly missed out on placing in the top three but all had a fantastic day. Well done to the Year 4 and 5 children that took part in the New Age Kurling competition on Wednesday 4th October at NSETC (Weston Collage). They competed against 24 other teams, playing a variety of games and challenges. They had a great time and were excited to tell their peers about it when they got back. "We all enjoyed taking part and representing our school!" We have successfully achieved the silver award for Sainsbury's School Games, improving on our bronze from last year. This year we will be going for gold!